When there is a need for locksmith service in San Diego, we are ready to offer quality and professional services depending on your needs. 858 Locksmith is a trusted, reliable, respected and efficient company ready to offer fast and friendly service to our clients. We offer honest up front pricing that guarantees our credibility, dedication and commitment in offering excellent services to our clients. If you are searching for locksmith service in San Diego to service and repair your commercial, residential, or automotive locks, then our company is right for you. Available whenever you need us. Our operators are ready to dispatch highly trained expert technicians and reach your residence within 30 min response time. We offer 24/7 locksmith services to all our clients. Our company employs mobile locksmiths, who have 5+ years experience in this field. We also offer emergency services and complete locksmith service to interested clients. Our highly trained automotive locksmith technicians are recognized in San Diego CA and surrounding for our quality services. There are several issues that may arise with an automobile hence the need for a professional locksmith service in San Diego. We offer services ranging from simple lockouts to complex malfunctions of the lock. Our highly trained technicians will solve all issues related to accidental lockout or damaged locking system at any time of the day or night. 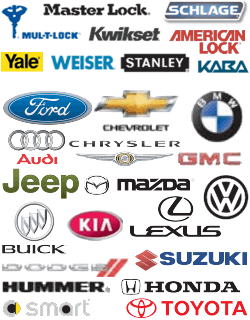 Our company is able to offer services like unlocking car doors and car key replacement. In the event a car was stolen and the locking system damaged, we have solutions to address this problem. Our highly trained and qualified staffs will produce new car keys and service the ignition switches whenever they are not functioning properly. In case the car owner has lost all sets of keys or they have been stolen, we are able to replace your keys within no time. Our company also offers residential locksmith service in San Diego. We have specialized team of expert that will work on your doors when they are compromised and solve the problem as soon as possible. Our expert technicians will assess your lock and offer fair quotes depending on the magnitude of work to be done. Our company is honest and no extra or hidden charges on our invoices. We understand that security of your home and family are top priority and we ensure this is achieved. To make sure safety of your family is enhanced, we offer quality and professional locksmith service in San Diego CA and surrounding. The services include replacing lost home keys, replacing locks, safe cracking, installing and repairing keyless entry, removing and replacing broken keys as well as offering solutions to home lockouts. Just contact our operator and the best locksmith service provider in San Diego will reach your residence within 30 min response time. At 858 Locksmith, our commercial locksmiths work tirelessly to make sure the security of your business is maintained on a 24 hour basis. Indeed, we understand that the security of your business is costly and would require monthly budget to get positive results. In this case, we have the best technicians in San Diego and surrounding areas who will install the best type of door locks suitable for your premises. We will propose the best locking systems that will make your business to be a step ahead in preventing unwanted movements within the premises. All our staffs are professionals with 5+ years experience in this industry. They are highly skilled and trained in repairing and installation of commercial locking systems and hardware in your premises. Our technicians have knowledge on how to install and repair complex locking systems like card access control system, modern security inventions and also installing and repairing Grade 1 lock system. Also, we will install and repair panic bar and push bar devices in your premises to enhance safety of your business. Clients operating large businesses should hire our services that would be offered by our trustworthy and reliable agents. Residents San Diego CA and surrounding are asked to contact 858 Locksmith to offer fast and friendly 24/7 locksmith service. We are a team of dedicated experts that are dedicated and committed to ensure our clients are served in the best way possible. In fact, we are among the top rate San Diego locksmith companies. Our company offers competitive and fair upfront pricing to all our clients. In case there are accidental lockouts in your home, business or car, we are ready to provide you emergency locksmith services and ensure those problems are solved. We deliver complete locksmith service any time, whenever needed. Also, we’ll offer mobile locksmiths service when the doors of your cars are compromised. When residents are searching for locksmith service in San Diego, they should hire 858 Locksmith. This is a top rated company in this area. We are able to offer emergency locksmith services since we are fast, knowledgeable and our mobile services allow us to offer top quality services to our clients. When you engage our company, you’ll avoid frustrating and embarrassing situations. 24/7 Full Service Mobile San Deigo Locksmith for Home, Car, Business and Emergency Locksmith needs.